Cottage Inn Pizza knows a thing or two about school sports allegiance. After all, the pizza franchise has its roots in Ann Arbor, Michigan, home of the Wolverines and the University of Michigan. As Cottage Inn Pizza has expanded across the Mitten State, it has become a favorite on university campuses with hungry students appreciating the gourmet pizzas as part of college life. Cottage Inn Pizza is passionate about contributing to its communities through college athletics sponsorships, and Eastern Michigan University is one of the key benefactors of such outreach. The franchise sponsors all of the Eastern Michigan Eagles Athletics and was recently an important part of EMU’s homecoming celebrations for the universities football team. In fact, Cottage Inn Pizza was recently featured on WYMD-TV, where the hosts of the morning show ate slices of pizza on air and gave a shout-out to Cottage Inn Pizza’s participation in the homecoming celebration. Situated right in front of the stadium gates, the pizza franchise gave away slices of pizza while giving ticket holders a chance to win swag with a spin wheel. Cottage Inn Pizza is a Michigan favorite and is heavily invested in the communities it serves. It holds a commitment to valued customers and takes care to ensure that they are served quality product while keeping allergies and dietary restrictions in mind. 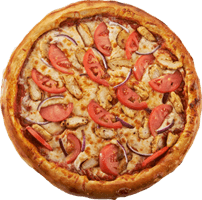 With more than 65 years through its Ann Arbor restaurant, and its franchises, Cottage Inn Pizza delivers more than 30 varieties of gourmet pizza and a wide selection of Mediterranean foods, subs, salads, wings and desserts. Learn more about Cottage Inn Pizza and its roots in Michigan.